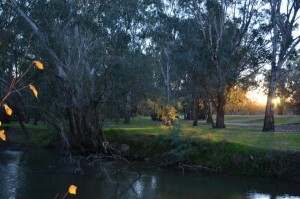 The Stan Allan Reserve is located on the banks of the King River, adjacent to the Snow Road, at the western approach to Oxley (i.e. 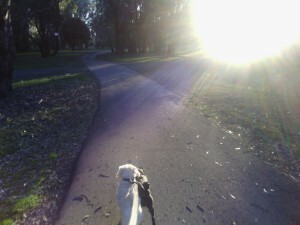 on your right just before you enter the 60 limits of the town when approaching from Wangaratta). The Stan Allan Reserve is considered the gateway to our town and is a popular recreational site and beautiful natural asset in our community. 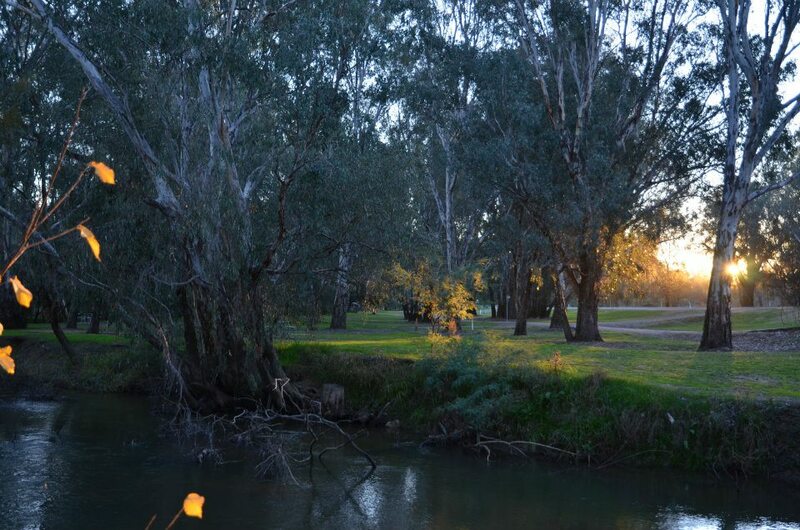 In the mid 1970’s when the new bridge was built and the road re-aligned, the Oxley Residents’ Association worked to establish the Reserve as a pleasant area for picnics, fishing and a popular swimming hole for local families. The Reserve was named in memory of Stan Allan whose property was located across the river. The Allans were a pioneering family in Oxley and Stan was active in caring for the river and assisting the development of the growing Oxley township. Since its establishment, the Reserve has continued to be a very popular location for both locals and visitors to our region. The Reserve provides the only location in the town for easy access to the river to swim, with its gentle sloping sandy bank. The picnic tables are used daily by travellers, workers and locals to enjoy a break whilst taking in the beautiful riverside vista. The construction of the shared walking/bike path to the Oxley Primary School has encouraged greater use of the Reserve for these pursuits. The area is also used by overnight and longer term campers in both caravans and tents. The Oxley Rural Fire Brigade conduct training at the Reserve and the brigade can draw from the river to provide easy, immediate access to water in an emergency.